Atlanta After the a two-ringed circus in Atlanta where I met with our the four graduate social work school interns who are working with the ACORN Home Savers Campaign for the next semester and the screening of The Organizer at the Andrew Young Center on campus, I got to visit with several veteran union organizers for a bit. It was cold, windy, and rainy outside, and that pretty much characterized the reports I was getting of the current labor organizing progress in the field. It was all uphill and in the teeth of the wind, both from outside forces and increasingly internal inertia. One film watcher was an old veteran of the textile wars as an organizer for the legendary ILGWU, the International Ladies Garment Workers Union. I asked him when he had worked them and when he said the late 1970s and early 1980s, I couldn’t resist mentioning Art Martin who had run a local in Arkansas earlier in the 70s and then later in the Carolinas. Sure enough, he had worked for Art in Charlotte, and was shocked to hear of his passing some years ago. I asked if he had noticed Art in several frames of the movie, and he laughed, saying he thought someone looked familiar, but didn’t place the context since the picture was of Art during the Quorum Court effort in Pulaski County 45 years ago. As for any talk about organizing in what’s left of the textile industry in the South? Not much to say there. 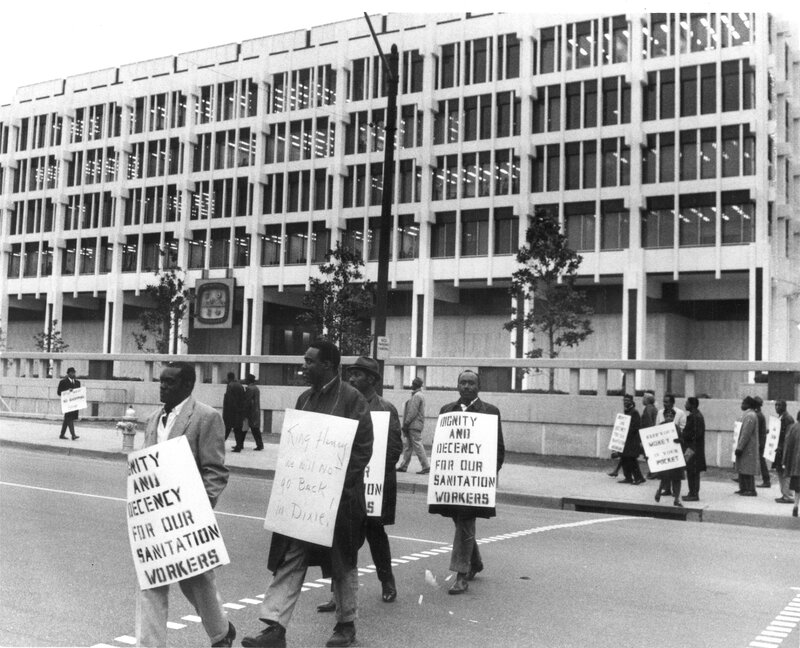 Ben Speight, who many claim is the best labor organizer in the Atlanta area and a former ACORN organizer as well, told the story of his efforts to organize 500 sanitation workers in a neighboring county with the Teamsters. Their effort over several years had won a couple of raises of the workers and a number of other improvements, but despite repeated efforts organizationally and politically, had failed to win either dues deduction or recognition for the union, so the effort was waning. He had been at a Martin Luther King breakfast before coming to the screening. He was surprised among all of the political speakers at the event that there had not been one speaker from the labor movement or any union, despite this being the 50th anniversary of King’s assassination while in Memphis supporting the strike of the garbage workers in that city. Visiting with my old friend and comrade, Ken Johnson, who not so long ago retired as regional director of the AFL-CIO in the South, there wasn’t much good news from that quarter either. We spent time talking about the Southern Regional Council where he had worked before the AFL-CIO, because we couldn’t find much to say about big, new organizing either one of us was hearing about in the south. Going through the list of names we had in common, many of them had moved far afield to even find organizing or union work. Any discussion of developments at the NLRB or the Department of Labor was short shrift. No good news there. One question that had come up after the screening asked about how social media was changing the organizing. The brother said he had observed people were more than willing to “post” something, but seemed to have no interest in hitting the streets or shops. The work and workers are here, but the connections aren’t coming together. People still like to talk about organizing in the south, but not too many unions are doing any of it. This entry was posted in Citizen Wealth, Financial Justice, Labor Organizing and tagged Atlanta, MLK, South, unions by Wade. Bookmark the permalink.